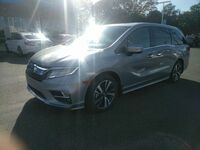 The 2019 Honda Odyssey offers families near Denver, CO an impressive amount of comfort and convenience. 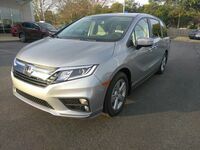 New Honda Odyssey models offer drivers a number of standard features across all trim levels, including a multi-angle rearview camera system, alloy wheels, daytime running lights and more. 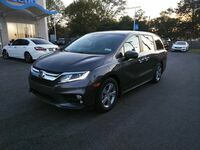 The Odyssey is perfect for families, offering seating for up to eight passengers (seven passengers on LX models) and offers available Magic Slide 2nd-Row Seats™, Honda CabinWatch™ and CabinTalk™ technology, a rear entertainment package and more. 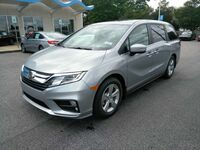 Keep reading to learn more about the 2019 Honda Odyssey at Townsend Honda! 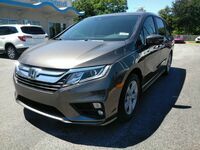 The 2019 Honda Odyssey is available in multiple trim levels: LX, EX, EX-L, EX-L Navi/RES, Touring and Elite. 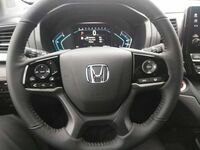 Each trim level is fitted with a 280-hp, 3.5-liter V6 engine with the choice between a 9-speed automatic transmission (Odyssey LX, EX, EX-L and EX-L Navi/RES models) and a 10-speed automatic transmission (Odyssey Touring and Elite models). 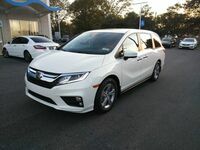 The 2019 Honda Odyssey with the V6 engine offers an EPA-estimate 19 city and 28 highway miles per gallon*. Traffic Sign Recognition and more! 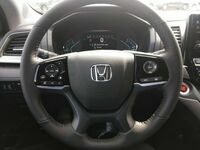 Additional highlights of the new 2019 Honda Odyssey includes available Apple CarPlay™ and Android Auto™ connectivity, a 4G LTE Wif-Fi hotspot, heated and ventilated front row seating, LED headlights and so many more. 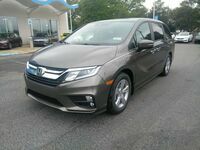 Schedule a test drive of the new 2019 Honda Odyssey at Townsend Honda! 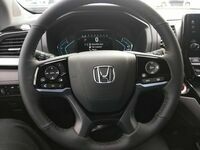 * 2019 EPA mileage ratings. Use for comparison purposes only. Your actual mileage will vary depending on how you drive and maintain your vehicle, driving conditions and other factors.